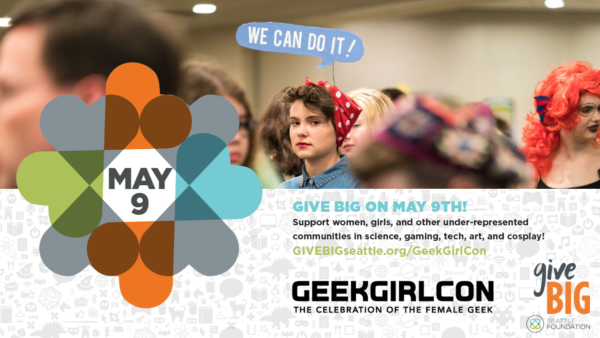 Support Geeky Women and Girls Celebrating Who They Are and What They Love: GiveBIG to GeekGirlCon! 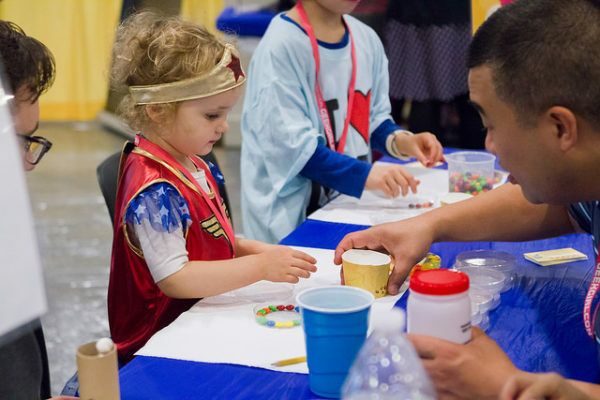 GeekGirlCon connects geeky women, girls, and their allies in order to build an empowering and inclusive community. 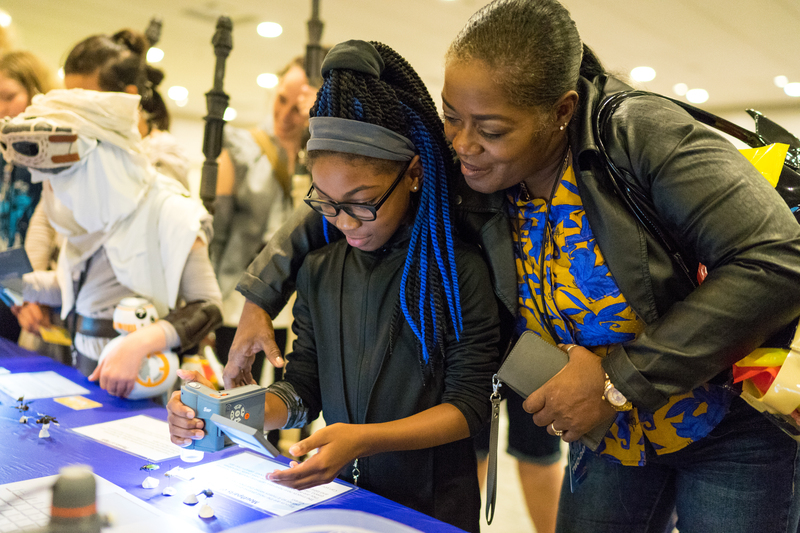 Our mission is to celebrate and honor the legacy of women and girls in the fields of STEAM (Science, Technology, Engineering, Art, and Math), comics, science-fiction, arts, literature, and game play and game design. Our impact centers around providing a safe and welcoming place to share our passions, amplifying underrepresented voices, and celebrating who we are and what we love. 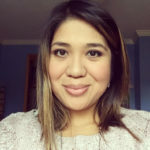 Hi everyone – Shubz reporting! Come through to Room 202 for How to Do Your Own Kickstarter with Caytlin Vilbrandt and Tristan J. Tarwater! Planning your campaign: decide if your project will happen “no matter what.” It will determine how you write your pitch and your donation tiers. About 10% of your audience will be willing to donate. Have a budget. How much will it cost to make product, ship product, etc. Plan for the worst case scenario. Treat the people who are backing you as patrons. Give them great incentives for donating. Make sure you have enough time for your campaign. Check shipping times for people giving things to you. Communicate with your backers. Stay in contact. People want to give! If you have a great project and are good to your patrons, they will be excited to be your fans and give you feedback. 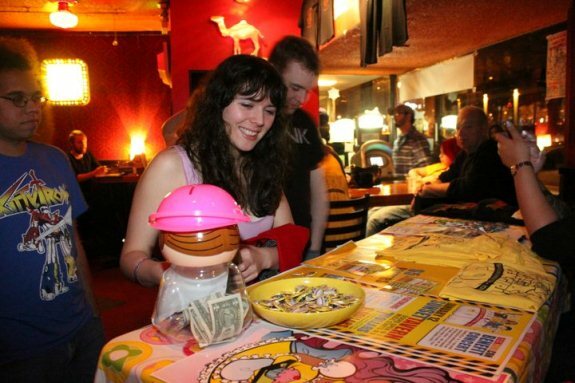 Learn from prior kickstarters – what works and what didn’t work. Stretch goals: Create them! What will you do if you’ve exceeded your initial goal? If you had the money, what would you do? Tell people to buy your stuff! Be direct about your promoting, be excited about it, and DON’T BE SHY about your project. Cross-promote with friends that have other projects going. How crucial is video? : DO IT! Get your face on the video. This creates a human connection. Treat your patrons well. They are your customers. This is taxable income. It is NOT free money! Do NOT cold message people about your project. Create rapport first. It is also against Kickstarter TOS. Are you a fan of special deals? Looking for a way to support a cause? Interested in combining the two to get discounts and give back? Do we have a deal for you: our Individual Sponsorship program! GeekGirlCon continues to look for ways to use our (very) limited budget to provide awesome perks, events, and deals for our fans. 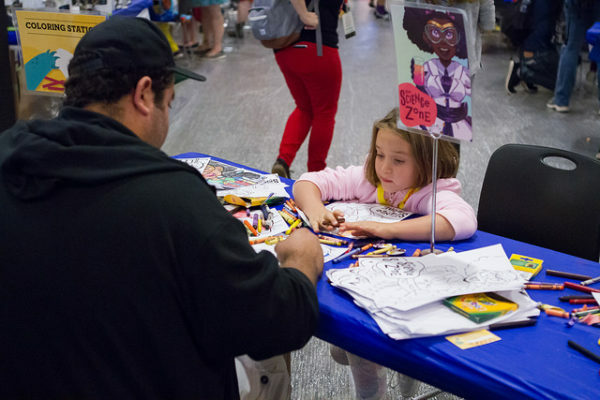 This year, we have partnered with an amazing set of Community Business Partners, who have agreed to offer fantastic discounts or deals to anyone who is a GeekGirlCon Individual Sponsor. 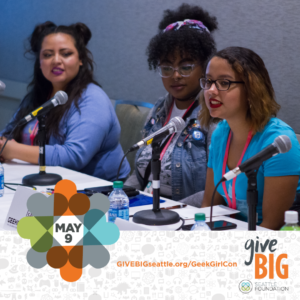 We encourage you to level up and become an Individual Sponsor of GeekGirlCon to take advantage of these awesome benefits today. We have a variety of sponsorship levels, from Gold, to Silver, to Platinum — all the way up to Unobtainium! All levels include a GeekGirlCon Individual Sponsor Card, which is good for discounts and deals at our Community Business Partners, who currently include Ada’s Technical Books, Cinema Books, Comics Dungeon, Dragon’s Lair Comics & Fantasy, Fantagraphics Bookstore & Gallery, Fantasium Comics and Games, Gamma Ray Games, Haute Under The Collar, and Scarecrow Video. Individual Sponsors also receive GeekGirlCon merch, discounts at the GeekGirlCon online store, passes at the Platinum and Unobtainium levels, and exclusive benefits at our annual convention! Want to learn more or sign up? Head over to our Individual Sponsorship page, or email Sophie, our Individual Sponsorship Coordinator, at individual.sponsor@geekgirlcon.com. 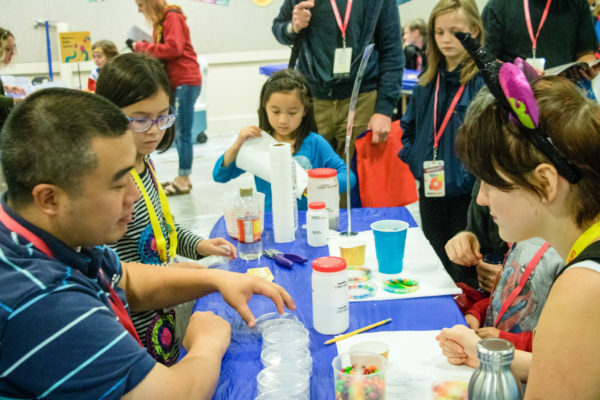 On Sunday June 5, GeekGirlCon is walking with IGNITE to raise awareness of women working in science, technology, engineering, and math (STEM) and reverse the stereotype of technology as a competitive, solitary, masculine career choice which is keeping girls away from STEM. Our Geek Girl network has been shrinking when it comes to women seeking careers in STEM! 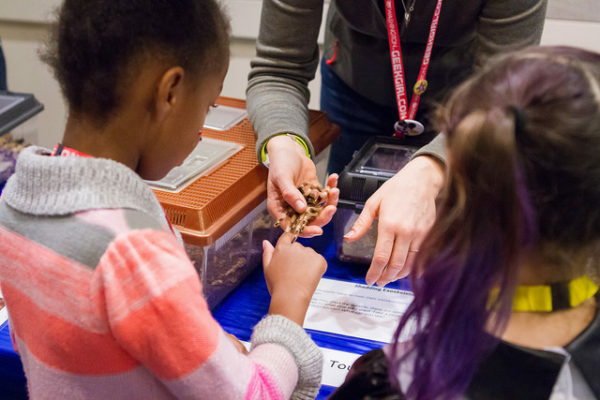 According to IGNITE, an organization focused inspiring young women to pursue the science and tech fields, women represent only 15% of the industry today. That is a big decrease from the 1980 when women were 35% of those fields. 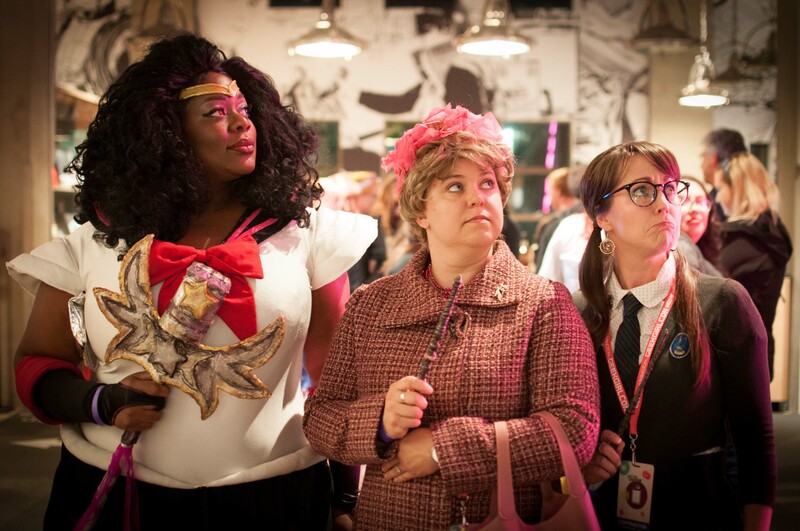 GeekGirlCon wants to reverse this trend and you can help us. Register to walk with us on June 5 or sponsor our staff and volunteers who will lace up their trainers and don warm-ups for a cause we vehemently support. Visit IGNITE for more information and donate. Support GeekGirlCon walkers: Arwen Morton, Amanda McGall, Kelly Clark, Jen Stuller, Anna Daniell, Erica McGillivray, and Adrienne Fox. Please feel free to join us at the registration table at 1pm. IGNITE states, “When you join this Walk, you are taking a stand for a brighter future, where women participate equally with men and have a say in how technology can improve the lives of people everywhere around the globe.” GeekGirlCon totally agrees.